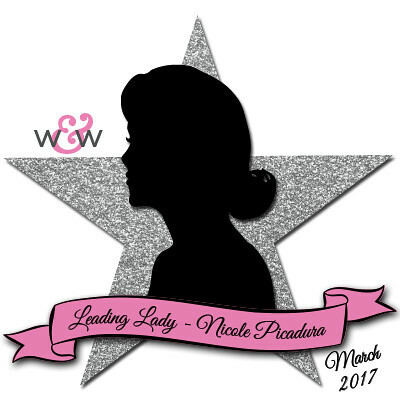 Our March Leading Lady, Nicole Picadura is back for her sensational second performance! If you missed her smashing debut you must see it...CLICK HERE. Today she brings you another beautiful card with a video tutorial! Happy Saturday! Last week I shared a project using a die cut and embossing paste to create a unique focal point for cards. Today, we are going to take it super simple and create an embossed background with a die! This is VERY simple, anyone can do it! This is also a great way to stretch your dies, giving them a new purpose other than just cutting papers. For this project, I used the Typecast: Cary Letters Cutaways for the background. Any dies you have will be able to provide a subtle and soft dimension, allowing any focal points to pop easily! I kept the main portion of the card and the sentiment super simple using the Sketchy Thoughts Stamp Set & Cutaways. Since our background is super busy, keeping focal points simple and sweet will balance things out. When stamping the sentiment, make sure to give it a good coverage since it is being stamped on top of the embossed surface. You can use MISTI to help with it. What kind of dies do you have that you can use this technique with? Perhaps background dies? or word dies you could use over and over for backgrounds? or shaped dies? Any would work well, so give it a try! Love the effect of the embossed background! Pretty card! Wow, I've never thought of embossing like this but what a fun way to use the dies. Now I can get even more use out of my supplies, which is always great! I love this card Nicole, it is so cool! I just realized I still don't have any alphabet die (upper OR lower case!) I really like these ones. Very versatile, not just trendy! such pretty work :) love it! Great choice to use the letters for this technique--wonderful card! I know how to do it, but hardly ever do. Thanks for the reminder!